Michelle Meyer and I had a really nice two days in the southern Green Mountains of Vermont, based in Wilmington, just last weekend (June 20-22). Quiet and relaxing, it was exactly how we were hoping to spend our weekend free from work and other obligations. On Saturday the 21st we hiked a portion of the Appalachian Trail & Long Trail to the summit of Stratton Mountain, elevation 3,940 feet. The round-trip was about seven miles and took us five hours to complete at a leisurely pace including a lunch break at the top. Despite hitting the trail at noon, several birds were still vocalizing. Our hike began in mixed hardwoods and hemlock, with Blackburnian and Black-throated Green Warblers dominating, plus a few Hermit Thrushes and Red-eyed Vireos mixed in. As we ascended we left behind the hemlocks and found ourselves in northern hardwoods. Black-throated Blue became the dominant warbler, and while Hermit Thrushes faded away, they were replaced by Swainson's Thrushes. 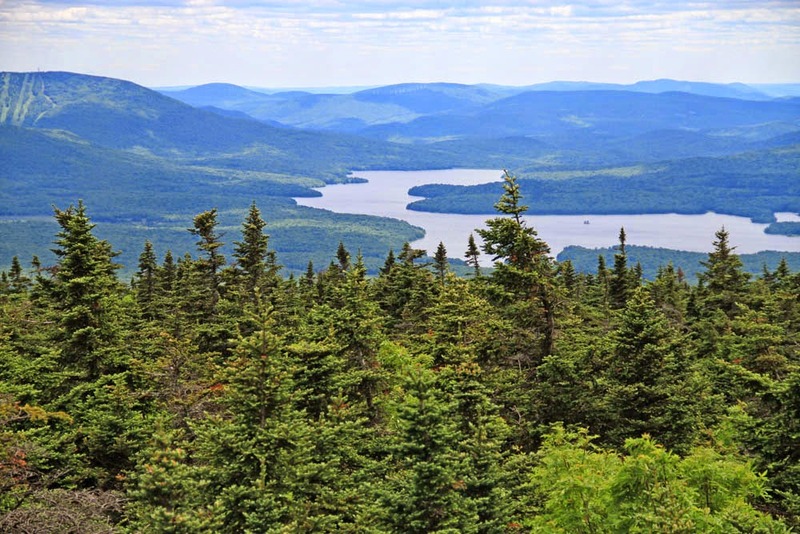 We knew we were approaching the summit as we quickly transitioned into the thick spruce-fir zone. Here, the only vireos were Blue-headeds and the most common warblers were Blackpoll, Yellow-rumped, and Magnolia. 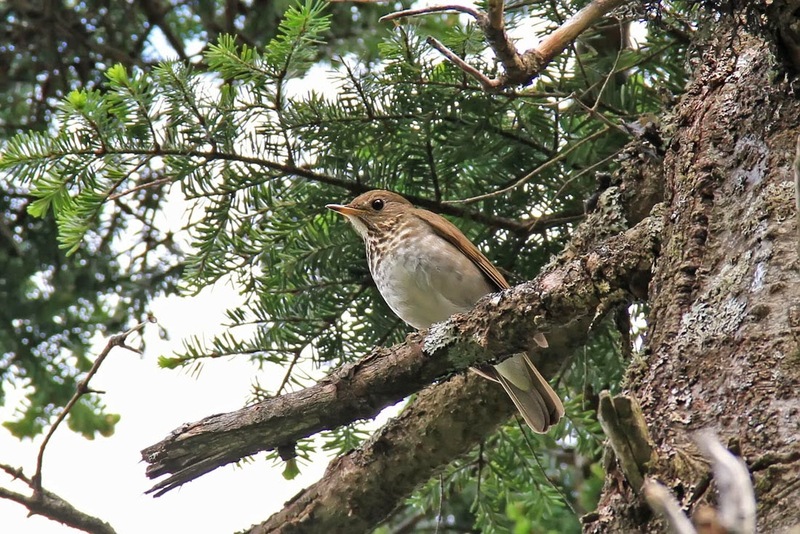 After a peaceful lunch at the summit and a tense walk up and down the fire tower (let's just say that skydiving did not help me get over my fear of heights), we quickly found a few BICKNELL'S THRUSHES on our way back down. One bird perched motionless on an exposed branch along the trail, allowing for photos with the short zoom lens I took along mainly for scenery shots. Highly recommended for anyone seeking Bicknell's Thrush and other high elevation breeders, and so close to southern New England. If you stay in Wilmington, check out the Wilmington Inn & Tavern...Patrick is a great host and cooks a heck of a breakfast!